Many towns, states, provinces and the federal governments of the United States and Canada are involved in planning and implementing adaptation and hazard mitigation techniques to protect their coasts from predicted sea level rise and the increased ferocity of storm surges that come with a changing climate. In New England’s coastal states, valuable information on coastal storm damages is being put to use now through StormReporter, an interactive website that can be updated in near-real time with reports of the damage being inflicted by storm surges and coastal flooding. 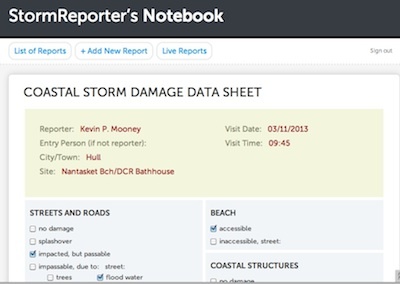 Screenshot: Part of the data sheet from a Massachusetts Storm Reporter’s entry. Registered users including trained volunteers, coastal managers and NWS staff may log onto the report page. A volunteer at the storm scene checks the kinds of damage under categories. “The report breaks information into categories of typical damages that you would expect to see in Massachusetts,” said Knisel. Beach access and any damages to natural resources are logged as well, and the volunteer can check off which kind of, if any, emergency response is already taking place. Volunteers are also strongly encouraged to upload photos and elaborate on conditions in a comment section. During a coastal storm event, CZM staff helps out at the state’s Emergency Operations Center, opened after a record blizzard hit the state in February 1978 and located in a civil defense-built bunker. CZM leads the the Massachusetts Rapid Response Coastal Storm Damage Assessment Team (Storm Team), which was organized after Hurricane Bob in 1991 and the “Perfect Storm” in October of the same year. “The StormReporter web tool at stormreporter.stormsmart.org serves as the platform for the Massachusetts Storm Team, a network of state, federal, and local agency personnel who cover the coast of Massachusetts during and after storms to collect and relay information on storm damage,” said Knisel. In the 1990s, the team used telephones and flip charts to record data, the beginning of the evolution to the web-based StormReporter. Team members may now use smartphones and other hand-held electronic devices to upload report data and photos directly to the Storm Reporter website, which went live in 2009. “StormReporter enables rapid delivery and archive of coastal storm damage observations and photographs,” said Knisel. StormReporter was also made available to the other coastal states in New England in 2011 and is currently expanding to the Mid-Atlantic and Gulf of Mexico with additional funding from the NWS. The landing page for the expanded StormReporter effort can be found at stormreporter.stormsmart.org and is hosted by Blue Urchin consulting. In June, StormReporter will include a map interface, an online user guide for all New England states, and Android and iPhone applications for Massachusetts. These products were developed for the Massachusetts Storm Team, but will also assist with recruiting local beach teams and other citizens interested in reporting coastal storm damages along other areas of the coast of New England. Photo by Kevin P. Mooney, reporter for the Massachusetts StormReporter site. 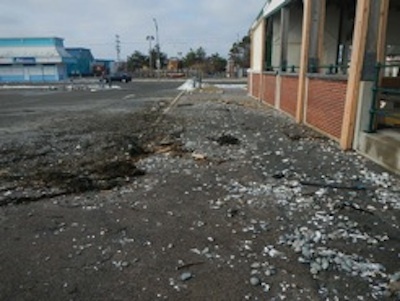 Picture of debris left in the streets after a coastal flood in Hull, Massachusetts, March 11, 2013. StormReporter requires the public to sign up and be approved to participate in the site “So CZM can communicate with volunteer reporters and provide training opportunities,” said Knisel. 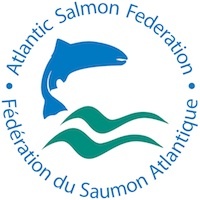 The National Ocean and Atmospheric Administration (NOAA) North Atlantic Regional Team provided seed money to get the standard form online in 2009. NERACOOS provided additional funding for expansion to other New England states, which in turn leveraged CZM funds to prepare the mobile applicatioins and a training guide that will be published online soon. As it is now, the most vulnerable areas have been identified, so volunteers will likely find themselves going to the same places over time, added Knisel. In addition to access to StormReporter, all the coastal New England states will soon have StormSmart state sites which provide important climate information to communities and individuals about specific risks, preparedness, news updates, contacts—everything to keep the public informed, including success stories from other regions. The state sites were the original focus of theNational StormSmart Coasts Network. Massachusetts, New Hampshire and Rhode Island have live sites now, with Maine and Connecticut slated to go live next. The New Hampshire Coastal Adaptation Workgroup (NHCAW) has an interactive blog on the New Hampshire StormSmart site, called The Crow’s Nest (inspired by the CAW acronym). Although Greenwich, Connecticut, is not in the Gulf of Maine region, the NOAA Climate Program and the Gulf of Maine Council on the Marine Environment partnered with the Northeast Regional Ocean Council to provide the town with a $7,500 grant that assisted the community with 32 miles of coastline on Long Island Sound to plan for the increased flooding already being experienced there. Around 11,000 residents live in or near the Greenwich coastal flood zones, which have flooded more in recent years because of development in the low-lying floodplain and impervious surfaces created by the new development. As part of the research for creating an adaptation plan, Greenwich collected and analyzed elevation data for the first floor of structures located within the flood area. The consultant, Milone & McBroom, Inc., organized the information into spreadsheets on 133 structures, of which 80 percent were deemed to be most vulnerable to flood damage, and 20 percent pose significant risks to inhabitants who choose not to evacuate during floods. All this information will be linked to the town’s Geographic Information System (GIS) so planners and emergency responders may more accurately target the most vulnerable areas during storm events. All products created for the municipal projects will be posted on the StormSmart Coasts Network.